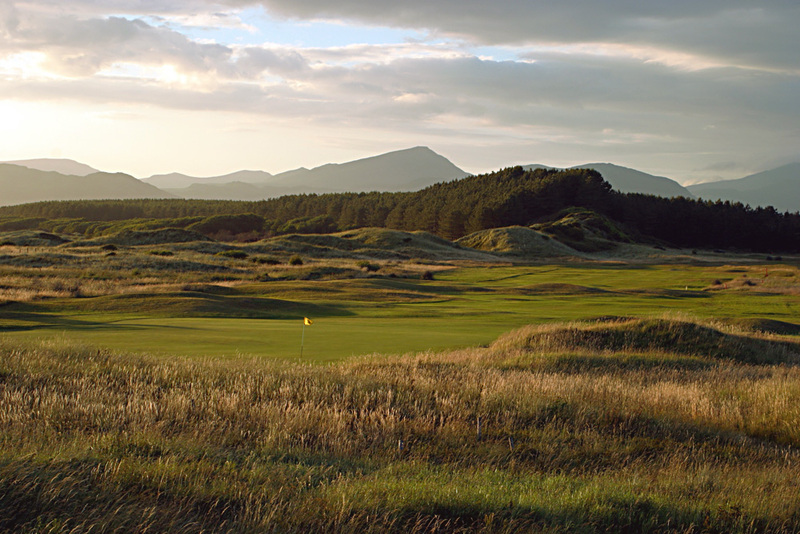 North Wales is an excellent area for a variety of golf courses. The most famous in this area is Royal St Davids which was founded in 1894. 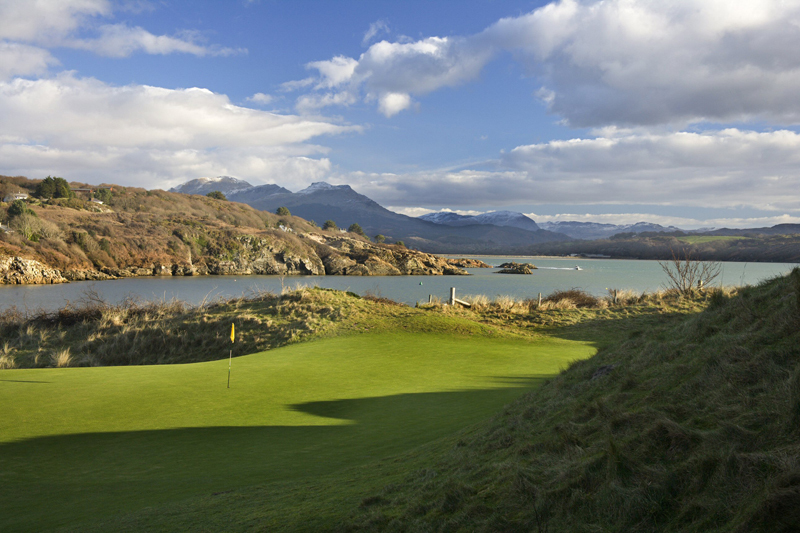 The James Braid Course at Porthmadog and the Nefyn Course on the Llyn Peninsula are also excellent Links courses. There are plenty of quality courses within this area to choose from. 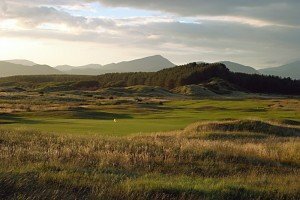 Since its foundation in 1894, the championship links of the Royal St. David’s Golf Club has occupied the dune land between Harlech Castle and the sea. Apart from the quality of the holes and severity of the test, the views of the Snowdon Mountains, the magnificent Castle and, at last, from the 16th tee, the Lleyn peninsular across Tremadog Bay, make Harlech one of the finest situations of any course in Britain. The course itself, measuring 6629 yards from the championship tees, is noted for a succession of long testing par four holes and five short holes, which vary in length and direction; a feature is the large size of the greens. 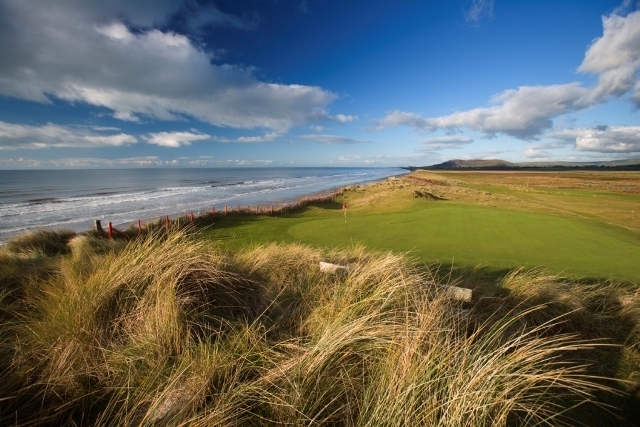 The last five holes form a loop through the dunes that provide a finish the equal of any. Created at the turn of the century by James Braid, the genius course designer of his day, the course has two distinct halves. The front nine are away from the coast and although the soil is sandy the terrain is more accurately described as heathland. But it is none the worse for that, especially with the presence of water making itself felt on five of the holes. 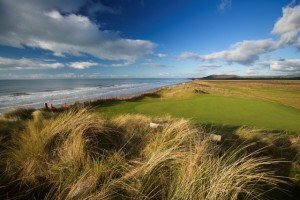 The back nine head for the sea, and some beautiful scenery, and the course is transformed into pure links that have been likened to a miniature Troon. Certainly, there’s a lot to the locals’ claims that these are the most natural nine holes in Wales. None come tougher or more fascinating than the 14th. 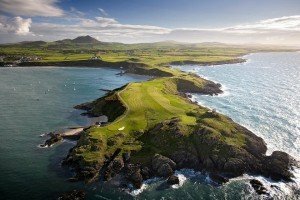 Nefyn and District Golf Club, located in the North West of Wales on the Llyn Peninsula, offers perhaps the most stunning setting for a round of golf in the north of the country. It is a proud boast of Nefyn Golf Club and its members that you can see the sea from every tee on the course. The epithet “This is the most beautiful course I have ever played” has come both from visitors from all over the world and from many critical reviews in books and magazines. Nefyn and District Golf Club was formed in 1907. The course was converted from 9 holes to 18 holes in 1912 and after many minor transformations, a further 9 holes were added in 1933 (only 26 holes are now being played). The course now consists of a front 10 holes and two distinctly different back 8 holes. If ever there was a dramatic course that deserved more respect that it gets then Nefyn is surely it. The closing holes along the peninsula are quite superb and will live long in the memory. 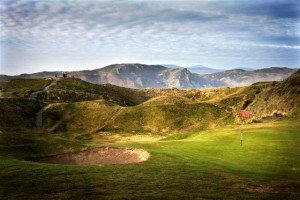 The golfer who wants to enjoy his or her golf could do no better than come to play the North Wales Golf Course at Llandudno, founded in 1894. You will find the layout a true links course, situated on the Penmorfa Beach popularly known as the West Shore. The course is of Championship standard hosting the Welsh Team Championships in 1995. As the course runs along the coast there is an ever changing vista. Holyhead Golf Club was designed by James Braid in 1912. At a glance, the scorecard tells you that the course measures only just over 6000 yards from the back tees and looks relatively tame with only one serious hill to negotiate. 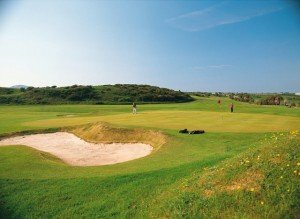 But, not only are the fairways narrow and undulating, the rough comprises of gorse, heather and bracken giving the golfer a real challenge. Add to this the variable wind which whips in from the Irish Sea and you have a course that can change its character from day to day or even hour to hour. The greens have a reputation of being the best in North Wales. Conwy is situated on the North Wales coast, with spectacular views and bordered by the Snowdonia hills. 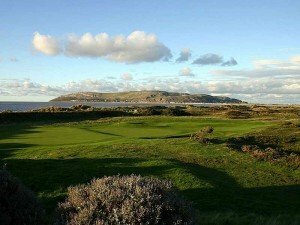 Conwy golf club boasts a superb links course, with excellent facilities. Several of the holes of the front nine skirts the estuary itself giving views to enjoy over the bay to Llandudno, Anglesey and beyond. 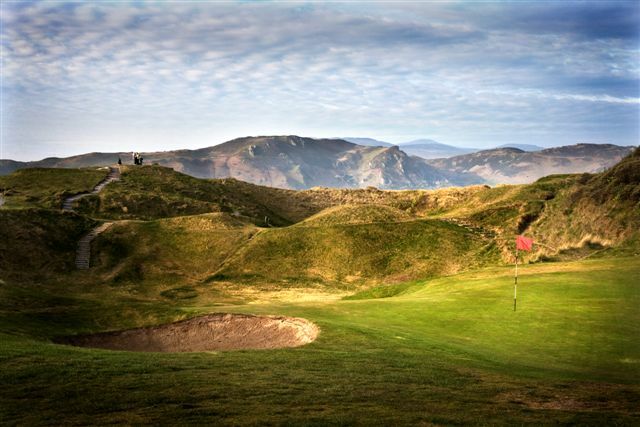 As the course turns to the back nine many of the holes are played beneath the splendid backdrop of the Conwy Mountains. The club has hosted qualifying rounds for the Open Championship. Golf was first played on the Aberdovey golf links in 1886. Over the years many national championships have been held here and it’s the home of the Welsh Seniors’ Championship. At 6,445 yards off the white tees, the course is not long by the standard of many newer courses. However, the real defences lie in the wind which is changeable. The course is in a wonderful setting where the hills, with their colours shaded by bracken, gorse or heather reach down to the very edges of the course.